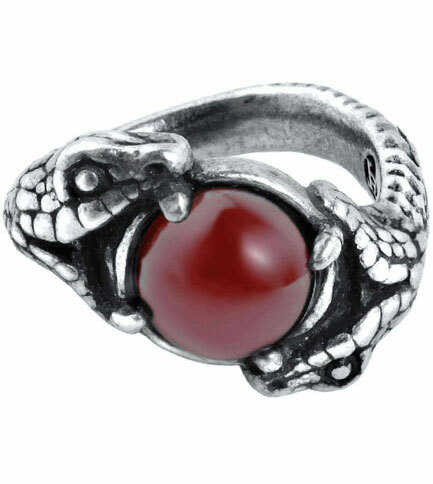 The serpent sinks its fangs into an energizing carnelian, to suffuse its properties of passion and desire. 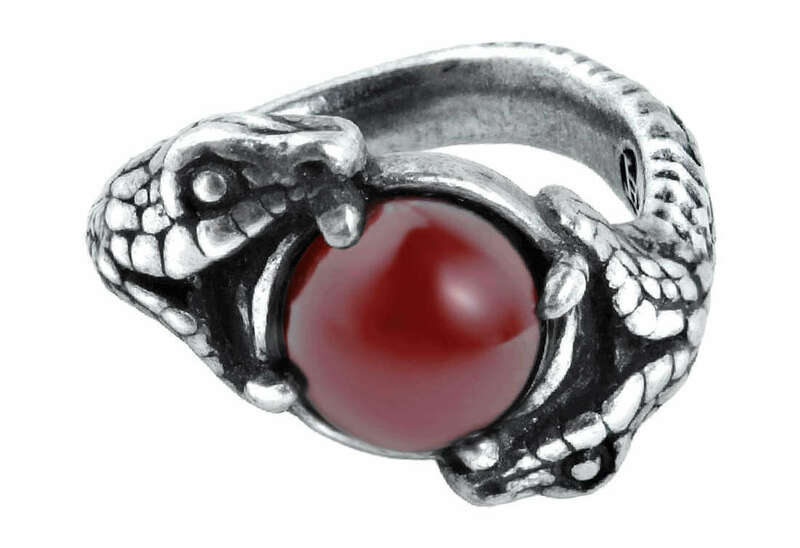 Measures approximately 1.02 inches wide, 1.14 inches high and 0.47 inches deep. Made of fine English pewter with stone setting. By Gothic Alchemy.